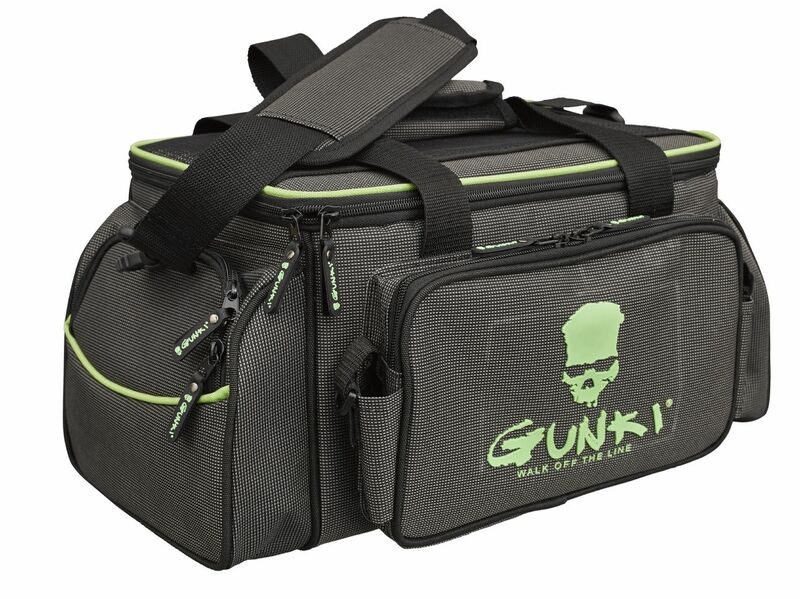 Gunki Iron-T Bag Up Zander Pro is a well laid out compact lure bag and come supplied with 4 boxes measuring 31.5cm x 21cm x 5.5cm in the main section which are easy big enough to take all your lures and accessories. There are plenty of storage pockets with zipped, meshed, transparent and even plier’s compartments. The shoulder strap is removable which is handy on boats where the strap can be a trip hazard.